HomeWBXH will still have LIVE news after all… with a new 7:00 a.m. newscast. WBXH will still have LIVE news after all… with a new 7:00 a.m. newscast. FIRST ON THE BLOG (other than Greater Baton Rouge Business Report): It looks like WBXH-CA 39 will continue to have some LIVE news after all. 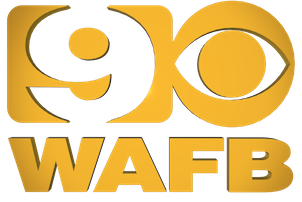 We reported on this blog weeks ago that WBXH-CA 39 (Cable Channel 16, will use 16 for the rest of this post) discontinued airing The Six30 and that it now airs a repeat of WAFB’s 9 News at 6:00 at 6:30 p.m.
Now, we are learning according to the title of that website you see above, that WAFB 9 will add a LIVE 7:00 a.m. newscast for WBXH-CA 16 called 9 News This Morning – The BIG Xtra Hour. The new program will debut on September 8th and will air LIVE from 7:00-8:00 a.m., giving Baton Rouge it’s first morning newscast after 7:00 a.m., as all the other stations run from 5:00-7:00 a.m. (WAFB 9 is the only one that starts at 4:30 a.m.). The 7:00 a.m. hour will replace the 5:00-6:00 a.m. repeat of 9 News This Morning from sister station WAFB 9. The 8:00 a.m. repeat hour will be replaced by E/I programming. Good for WAFB and WBXH. It’s about time there’s news at 7:00 a.m. for Baton Rouge. They needed it and they finally got one.